The Kensington Regent range features a traditional design, manufactured to the highest standards using the latest technology. All Kensington taps have a ceramic lever tap head with a ceramic indice in the centre. Regal taps have been designed so that the spouts are 3cm higher off the bath/basin (and a further 3cm away from the wall in the case of Regent wall mounted taps) than their equivalent namesake. This creates an opulent feel and, in certain commercial applications, ensures compliance with some archaic building regulations! 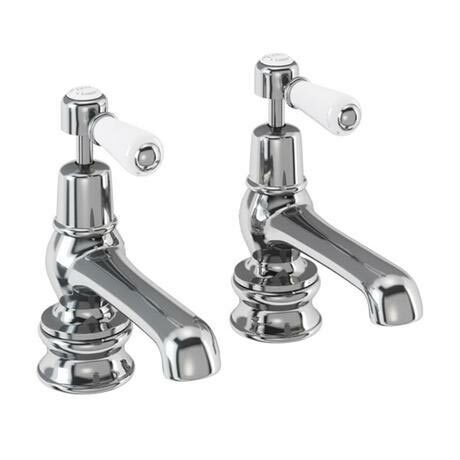 T6-QT Quarter Turn Basin Pillar Taps 5"